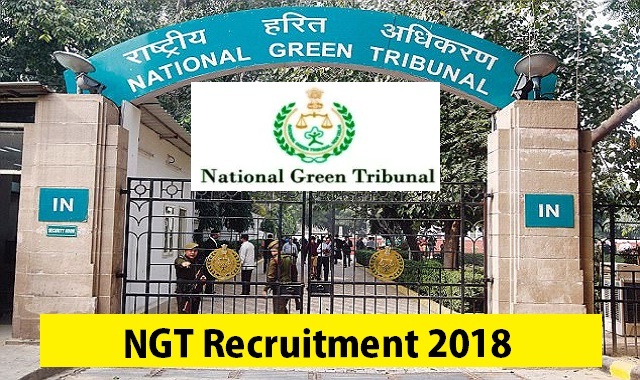 NGT Recruitment 2018 2019 Application Form for Technical Assistant Posts Download Application through Official website www.greentribunal.gov.in. NGT Technical Assistant Jobs Notification 2018 Released. The Interested and Eligible Candidates are requested to Download Application through Official website. The last date for submission of applications is 09.03.2018. National Green Tribunal Recruitment 2018 Technical Assistant - Apply Now. The Registrar General Green Tribunal, Principal Bench, Faridkot House, Copernicus Marg, New Delhi - 110001. The Registrar, National Green Tribunal, General Zone Bench Kalas Mahal, Kamarajar Salai, PWD Estate, Chepauk, Chennai - 600005. The Registrar, National Green Tribunal Central Zone Bench 3rd Floor, Information Commission Bhawan, Area Hills, Bhopal - 462011. The Registrar, National Green Tribunal Western Zone Bench, New Administration Building, 1st Floor, B -wing, Opposite Council Hall, Pune - 411001. (3rd Floor), Block - III, Action Area - II, P.S - New Town, Kolkata - 700157.